ANAHEIM, Calif. (Dec. 15, 2017) – Guests visiting the Disneyland Resort in 2018 will enjoy new experiences plus exciting new elements added to some of their favorite shows and attractions at the Happiest Place on Earth. 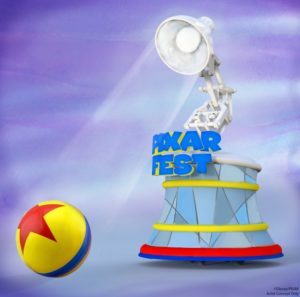 Pixar comes to life like never before at both Disneyland Park and Disney California Adventure Park in 2018 to celebrate friendship and beyond, with the first-ever Pixar Fest opening April 13 and a new land, Pixar Pier, opening for summer. Pixar Fest, the biggest theme park celebration of beloved stories and characters from Pixar Animation Studios, will be a must-do experience at the Disneyland Resort. During this limited time event, guests will be among the first to enjoy a new Pixar-themed fireworks spectacular, the return of two favorite parades with new Pixar surprises, new décor, atmosphere entertainment and more. In addition, guests will enjoy plenty of Disney magic throughout the Resort including seasonal and cultural celebrations, new creatively themed food and beverage items, new experiences and restaurants at Downtown Disney, and so much more. To enhance a visit to the Disneyland Resort, guests may download the official Disneyland App to purchase tickets and find useful information at their fingertips, including attraction wait times, FastPass return times, maps, entertainment guides and other special features such as Disney MaxPass. With Disney MaxPass, guests are able to reserve digital Disney FastPass selections from their mobile devices while in the parks, as well as download, share and save unlimited Disney PhotoPass photos from their day. Pixar Pier: Opening in summer 2018, the new land of Pixar Pier will feature favorite stories and characters from cherished Disney•Pixar films. The thrilling new Incredicoaster will anchor Pixar Pier with a high-speed new experience featuring characters from “The Incredibles.” A super combination of character figures, lighting and special effects will bring the action to life as the Parr family races alongside guests in an attempt to catch baby Jack-Jack. The attraction will feature a new mid-century-modern-style loading area inspired by the Parr family home, as well as an exciting musical score that connects the Incredicoaster’s story to Pixar’s “Incredibles 2,” which opens in theaters July 14, 2018. “Paint the Night” Parade: The fan-favorite “Paint the Night” parade returns April 13, this time to Disney California Adventure. “Paint the Night” features pals from Disney•Pixar’s “Toy Story,” “Monsters, Inc.” and “Cars.” Another Pixar story will join “Paint the Night” later in the year, adding to this popular nighttime experience. Lunar New Year:The biggest Lunar New Year celebration yet will commemorate the Year of the Dog, Jan. 26 to Feb. 18. Guests will experience more fun than ever before with multicultural performances, fun-filled activities, beautiful décor, delicious cuisine and themed merchandise. Highlights include the heartwarming “Hurry Home—Lunar New Year Celebration” prior to “World of Color,” “Mulan’s Lunar New Year Procession,” a Lucky Wishing Wall and three Asian marketplaces offering delightful foods inspired by Chinese, Korean and Vietnamese cultures. Food & Wine Festival: From March 2 to April 12, the popular Disney California Adventure Food & Wine Festival returns with offerings for guests of all ages to enjoy. With new experiences happening daily, guests will explore California-inspired cuisine and beverage offerings, tastings, entertainment, plus presentations and demonstrations with celebrity chefs such as Robert Irvine and Alexandra Guarnaschelli. Heroic Encounters: In Hollywood Land, guests will have the opportunity to meet some of their favorite Marvel super heroes. Fans will be able to encounter characters such as Thor and Loki, as well as Black Panther, for a limited time. Additional Marvel super heroes including Spider-Man and Captain America will also be available throughout the year to interact and take photos with guests. Smokejumpers Grill: The popular quick-service restaurant located in Grizzly Peak offers an updated menu with tasty items such as the spicy buffalo chicken sandwich, vegetarian BBQ jackfruit sandwich, grilled chicken salad, cobbler shake and even a s’more! For junior smokejumpers, options include chicken tenders, grilled cheese and a chicken skewer. “World of Color”: The dazzling nighttime extravaganza “World of Color” will delight guests across Paradise Bay. Scenes from beloved Disney and Disney•Pixar films stream across an immense water “screen” to create an unforgettable experience. “Together Forever—A Pixar Nighttime Spectacular”: As part of Pixar Fest, this immersive, new fireworks show celebrates Pixar stories through the decades as it lights up the sky, connecting guests with characters they’ve come to know and love. Along with dazzling pyrotechnics and memorable music, a heartwarming story celebrates the theme of friendship, an ever-present concept in Pixar animation. Guests are invited to embark on an emotional journey that begins with the meeting of unlikely Pixar pals and follows their adventures as they overcome obstacles and forge everlasting friendships. “Together Forever” comes to life through projections on iconic park locations: Sleeping Beauty Castle, the water screens of the Rivers of America, the façade of “it’s a small world” and the buildings of Main Street, U.S.A. The grand tradition of Tinker Bell flying over Sleeping Beauty Castle also gets a Pixar twist, with a special flyover by none other than Buzz Lightyear. “Pixar Play Parade”: For the first time, this popular show will make its way through Disneyland starting April 13, bringing even more fan-favorite Pixar stories to guests with the addition of three new story elements. The parade will begin as all Pixar films have, with an appearance by the iconic and adorable Pixar Lamp. Rolling ahead of the famous lamp will be the familiar yellow Pixar Ball. 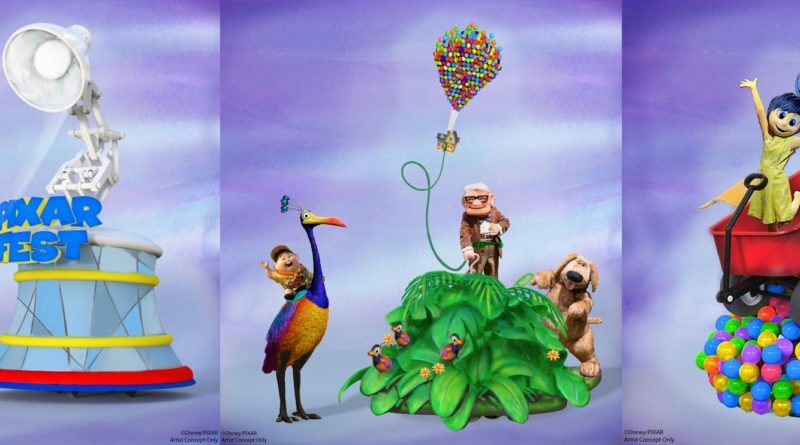 Also joining the parade are characters from the beloved film, “Up.” Wilderness Explorer Russell will appear astride the colorful flightless bird, Kevin. 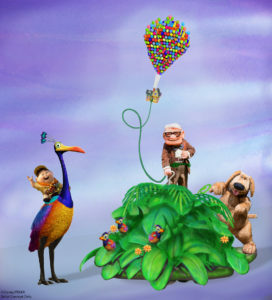 Carl Fredricksen and Dug follow behind, amid green foliage and snipe chicks, with Carl’s tethered house floating above. 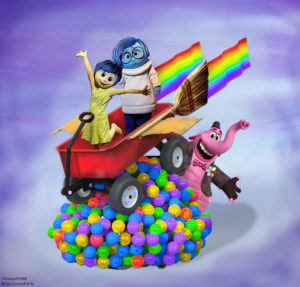 “Inside Out” also joins the “Pixar Play Parade,” with Joy and Sadness perched atop colorful memory orbs as they take flight aboard Bing Bong’s rocket wagon, with Bing Bong himself cheering them on. Star Tours—The Adventures Continue: A thrilling new adventure inspired by the film, “Star Wars: The Last Jedi,” has landed at Star Tours—The Adventures Continue. The new sequence takes passengers to two exciting new destinations: Crait, the site of an epic battle in “Star Wars: The Last Jedi” and Batuu, the remote outpost guests will discover when Star Wars: Galaxy’s Edge opens at Disneyland in 2019. Many families and friends make it a tradition to visit the Disneyland Resort during the Halloween and Holiday seasons, as well as for special ticketed events. Disneyland After Dark: Disneyland Resort introduces Disneyland After Dark, an all-new series of special themed experiences and events. Throwback Nite, an after-hours event, kicks off the series Jan. 18, inspired by the debonair days of the ‘50s and ‘60s at Disneyland. Each After Dark “nite” will feature specialty entertainment, themed food, collectible merchandise and more. Additional dates and details for upcoming events will be announced soon. Halloween Time at the Disneyland Resort: From mid-September through October, a spell is cast at the Disneyland Resort! Guests join the spook-tacular Halloween celebration as the Resort transforms with frightful fun including ghoulish décor, spooky treats and thrilling seasonal overlays such as those at Haunted Mansion Holiday and Space Mountain Ghost Galaxy in Disneyland. Guests will also enjoy Mickey’s Halloween Party, the separate-ticket event filled with trick-or-treating, special entertainment and Disney characters in their Halloween attire. 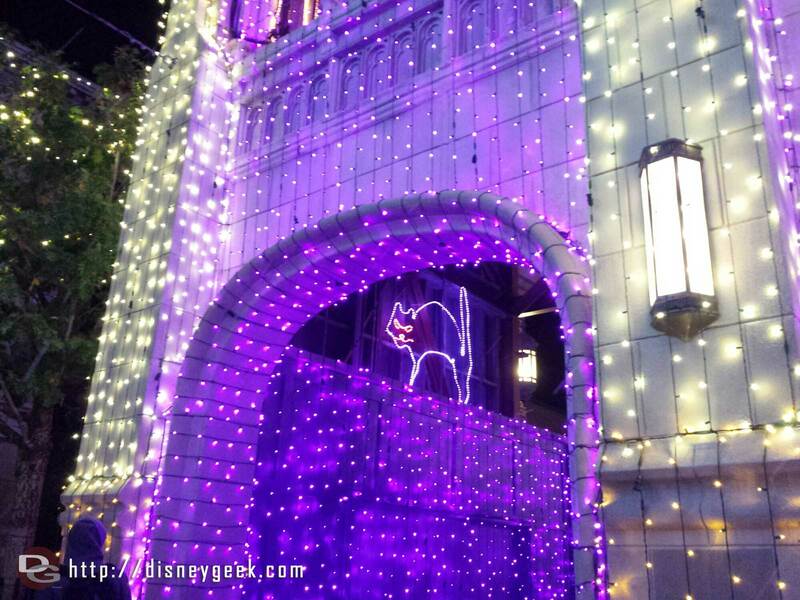 Holidays at the Disneyland Resort: From November through early January, it’s the most magical time of the year at the Disneyland Resort. Guests create holiday memories throughout the Resort as it transforms into a winter wonderland full of seasonal attractions, joyful entertainment, jolly décor and themed treats. Special experiences such as Festival of Holidays at Disney California Adventure plus iconic holiday attractions including “it’s a small world” Holiday and Haunted Mansion Holiday at Disneyland create unforgettable memories that make the spirit of the season shine even brighter. Splitsville Luxury Lanes: The new family-friendly restaurant with a unique combination of dining, bowling and live entertainment is set to open in early 2018. The innovative Splitsville Luxury Lanes will feature 20 bowling lanes, four dining areas (indoors and out), two billiard tables, more than 25 flat screen TVs, the ability to host both live performers and DJs, and much more. Black Tap Craft Burgers & Beer: The popular beer and burger restaurant will offer guests a new dining option in 2018. Known for its award-winning burgers and signature CrazyShake™ milkshakes that boast whimsical and over-the-top decorations and flavors, this will be Black Tap’s first California location and will have a customized concept specifically for Downtown Disney. New Disney-themed home goods store: In early 2018, D-Street will be re-imagined into a new retail space that offers Disney fans a variety of Disney-themed home goods. Guests will find a curated assortment of products that change with each season. 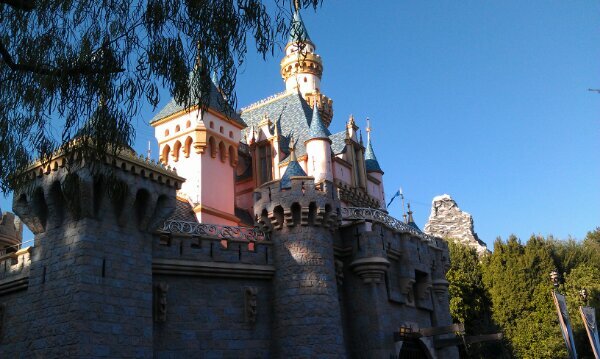 It is always a great time to visit any of the three Hotels of the Disneyland Resort, with additional perks such as the Extra Magic Hour being offered to guests who stay on property. Guests staying at the newly refurbished Disney’s Grand Californian Hotel & Spa will experience enhanced amenities, including reimagined guest rooms, delightful new furnishings and design elements in the six-story Great Hall lobby, a sparkling new look to the pool area and revitalized concierge lounge. Disney’s Grand Californian Hotel & Spa is located inside Disney California Adventure, providing guests with a special entrance to the theme park. Whether staying at Disney’s Grand Californian Hotel & Spa, Disneyland Hotel or Disney’s Paradise Pier Hotel, guests are just footsteps away from both parks as well as the Downtown Disney District, inviting them to experience an extra touch of Disney magic and memories.